Bacon is making himself at home in his new space. The dual function of this room makes it the perfect place to work or have friends over. 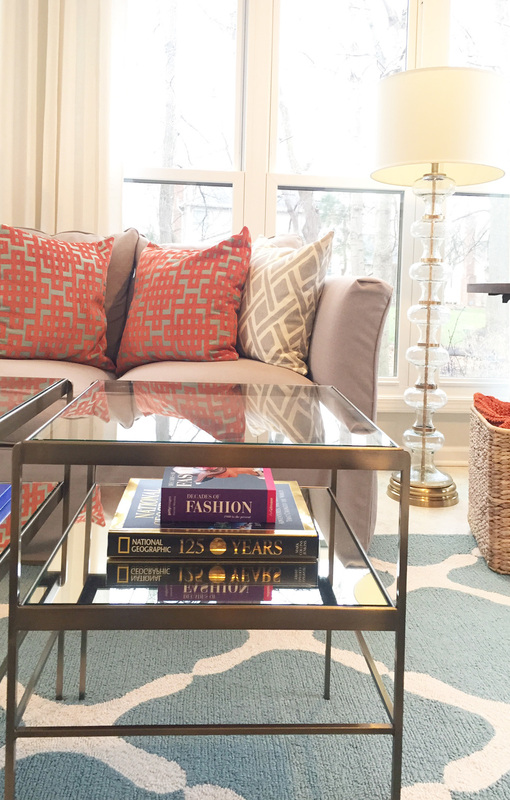 These gorgeous gold and glass tables add elegance and charm. 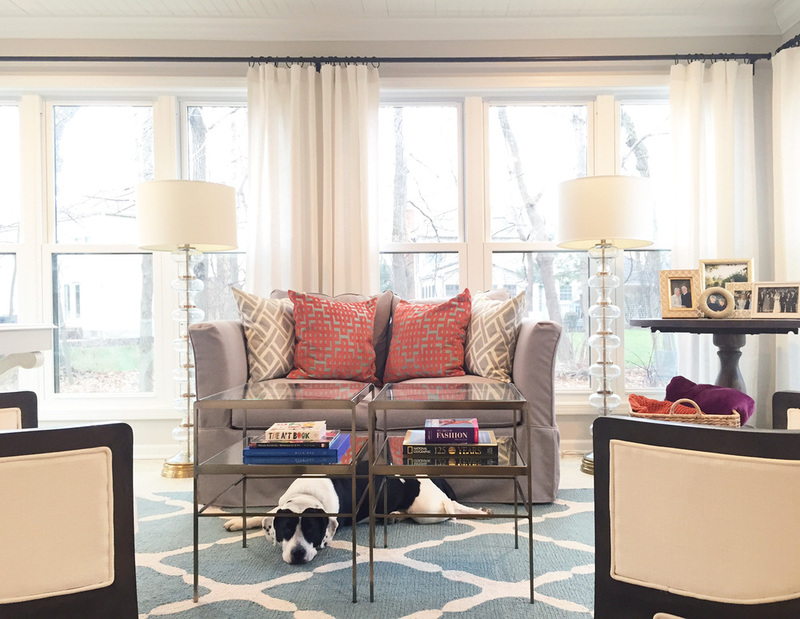 A handful of colorful details add the finishing touches to this space. The detailed ceiling and fan give the space a retreat feel. 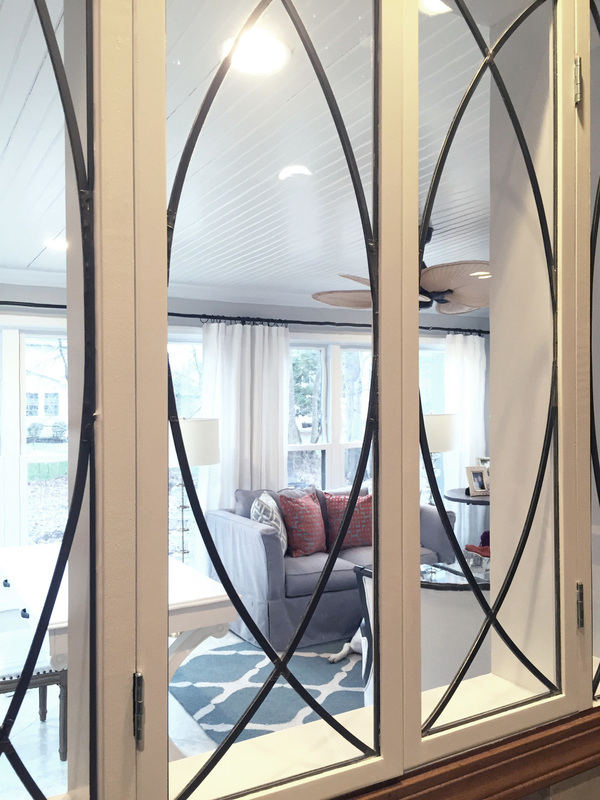 The addition of this custom window in the kitchen is a beautiful detail looking into the sunroom. This fantastic picture table is the perfect place to personalize the space. 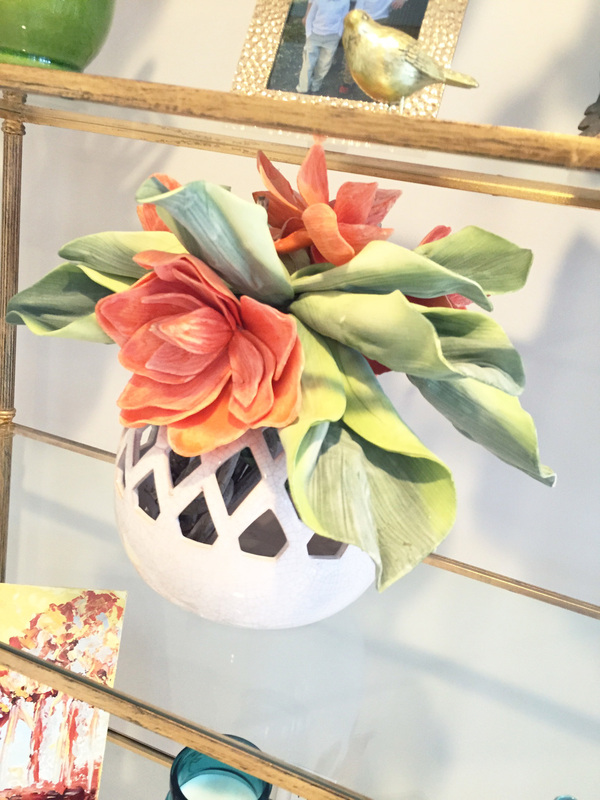 This bold piece of art fills the space with color and incorporates all the accent colors. When Naomi called me I was instantly excited about her project. She loved her home but wanted a space to call her own. As a fellow mom of two boys I completely understood how she felt. She also had me at, "I think I would like to do some white upholstery". We ended up creating a space that is beautiful and functional with this home addition. It is light and airy with great bright accents. Even on a gloomy Ohio day this room radiates warmth and sunshine. 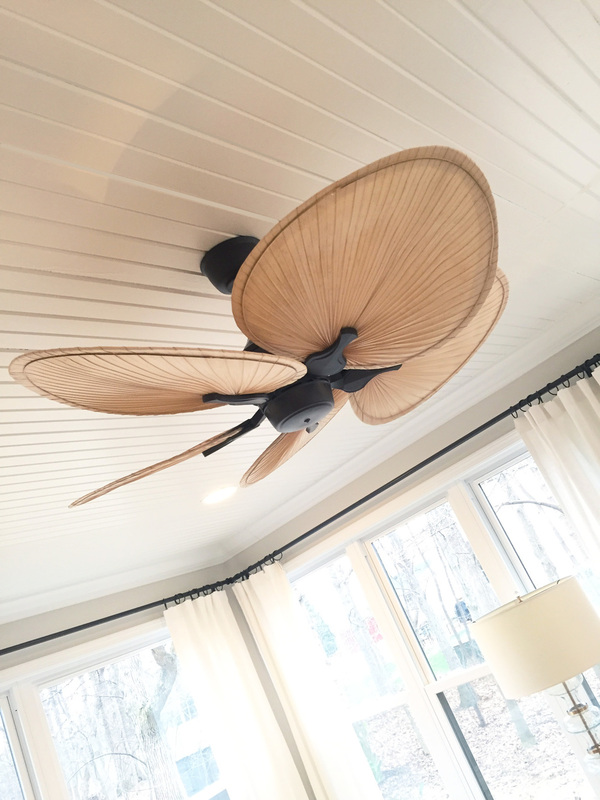 We added beadboard to the ceiling and selected a fantastic focal fan. The living area is accented with two large floor lamps that truly steal the spotlight in this space. 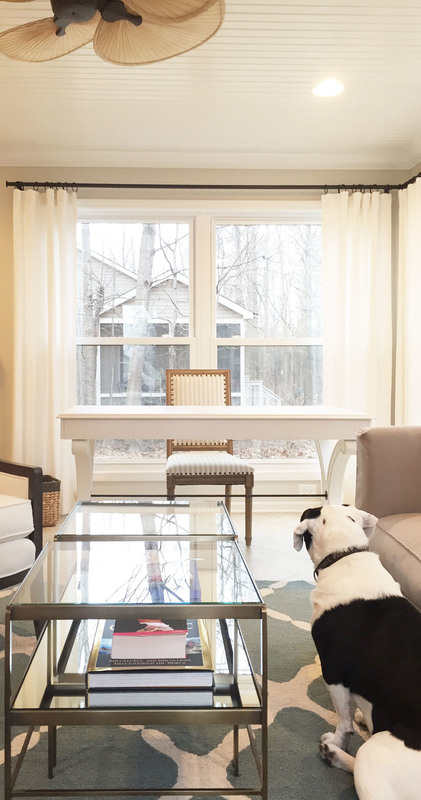 A beautiful white desk is where Naomi can work from home and enjoy all the natural light surrounding her. I do call this project Naomi's Sunroom but after getting to know her and her beloved dog I'm afraid I may have to change it to Bacon's Sunroom. He acts as the perfect accessory in this everyday retreat!